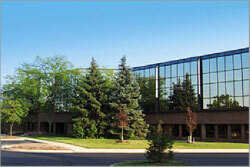 MCMA is headquartered in beautiful Ann Arbor, Michigan USA. Ann Arbor is home to the University of Michigan whose deep intellectual resources combined with hundreds of neighboring high-tech companies; make this a perfect location for the association. If you're looking for our member companies, search the site, use the quick access 'Find the Resources You Need' on the home page, use the 'Browse by' tool from the home page or visit the About Our Members page. We welcome your comments and suggestions. Please use the contact form for inquiries, Fields marked with * are required.